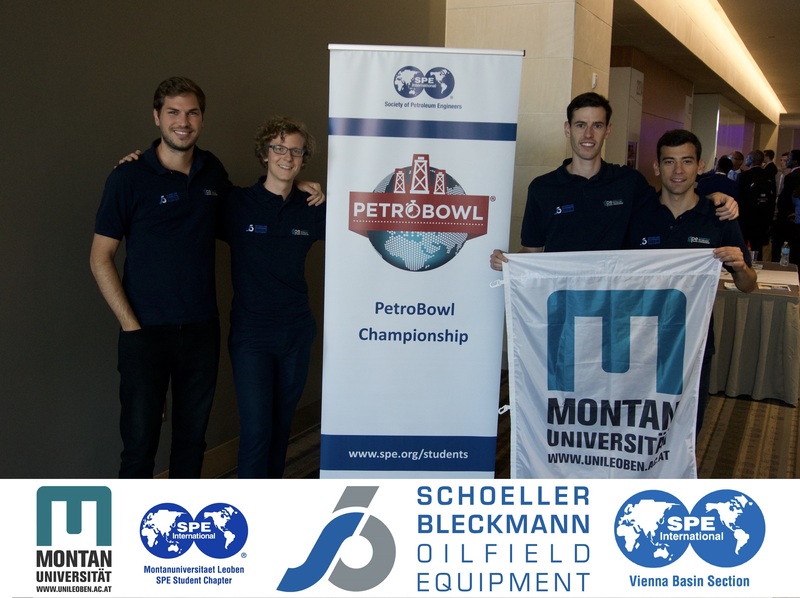 After a successful participation in the regional qualification tournament of SPE’s PetroBowl competition in April 2017 in Cracow, Poland, the student team of the University of Leoben was able to qualify for the international finals as one of the top five European universities. Generally speaking, the PetroBowl championship pitches SPE student chapter teams against each other in a series of quick-fire rounds, answering technical and nontechnical industry related questions. 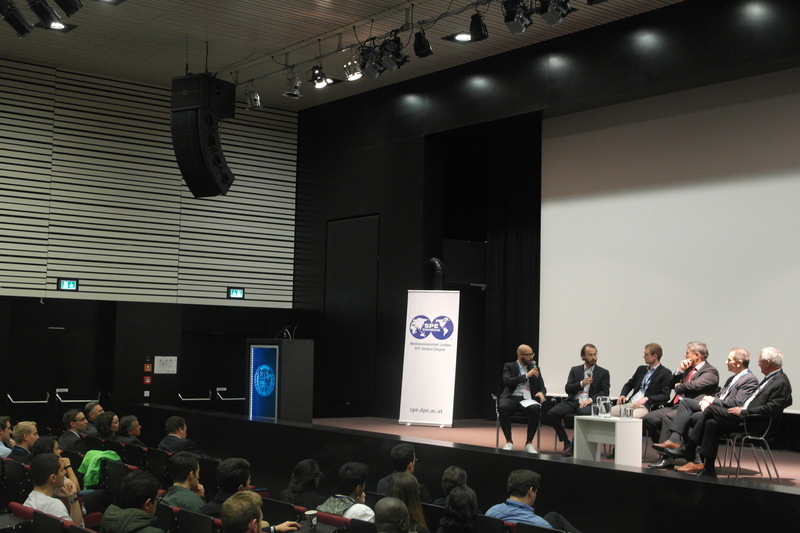 As SPE’s most competitive event, it gathers engineering students from all over the world in a fast-paced quiz competition. 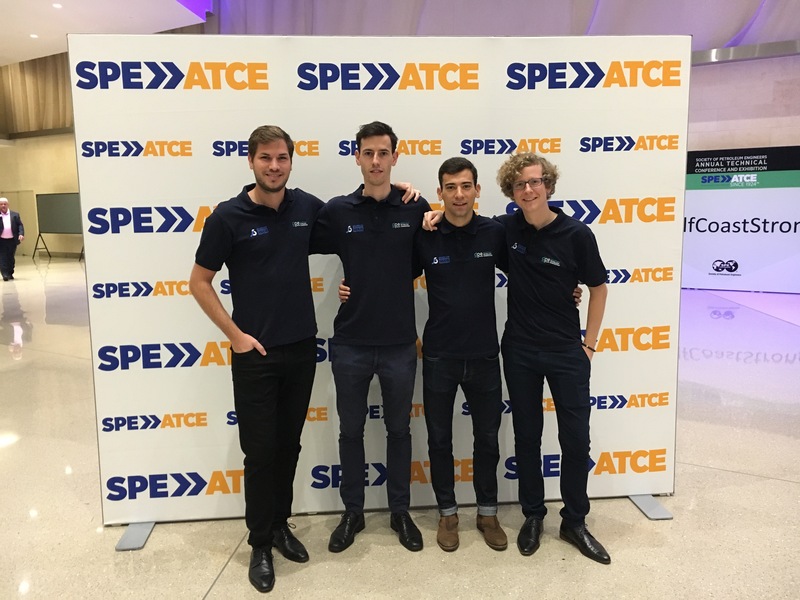 Several months of intense preparation, hours of organizational work and dozens of skype conferences later, finally the time had come for our 2017 PetroBowl team to head towards Texas and represent our Alma mater at one of the most prestigious conferences of the petroleum industry, the SPE Annual Technical Conference and Exhibition (ATCE) in San Antonio. 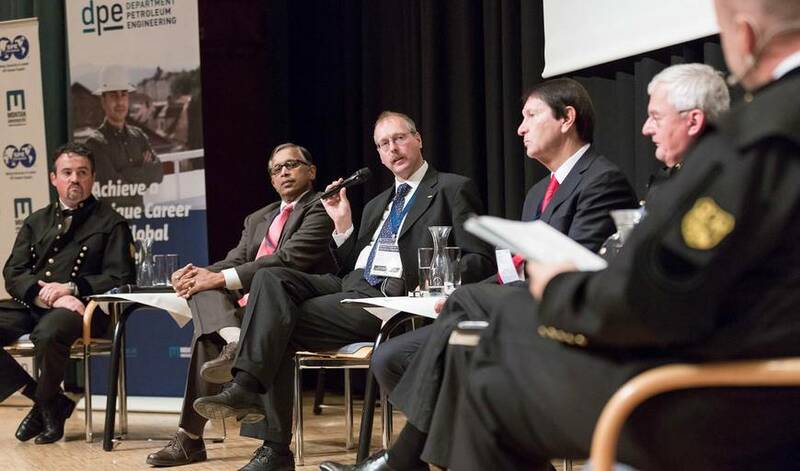 Owing to the kindness of our sponsors, the Schoeller-Bleckmann Oilfield Equipment AG, the Department of Petroleum Engineering (DPE), the SPE Vienna Basin Section, and the city council of Leoben, we were able to avoid any doubts about the feasibility of our “Project PetroBowl”. The massive Henry B. Gonzalez Convention Center as the venue of the conference, which is located next to the famous San Antonio River Walk emphasized the marvelous ambience of the competition. After we finally arrived in San Antonio, we used the last hours before the competition to finalize our preparation by studying potential questions such as the technical details of drilling equipment, statistics about world oil consumption or the history of the petroleum industry. The main competition started with a brief introduction of the general rules of the game early in the morning. The first game our team from the University of Leoben was scheduled against the University of Kansas from the United States. With an impressive performance we managed to win our first match with an ultimate score of 89 to 5, which allowed our team to advance to the top-16 round. The next opponent was the Universidad Nacional Autónoma de México (UNAM), which was the winner of the 2015 competition in Houston, Texas. In a tight game, in which we were able show our knowledge about technical details about the petroleum industry, eventually the Mexican team was able to secure a narrow victory against our student chapter. The first disappointment disappeared soon, as we realized that we lost against the later winner of the 2017 PetroBowl competition and the best team of the tournament. The entire PetroBowl competition as well as the conference itself was a great experience for all of us. 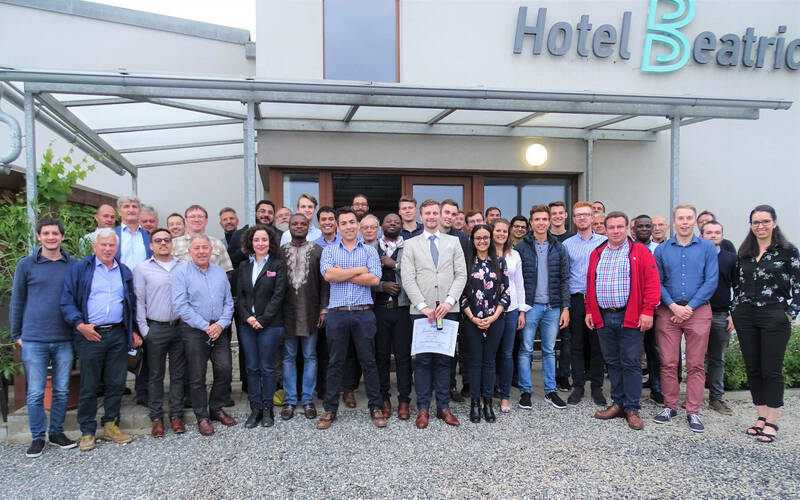 We would like to express again our deep gratitude to our sponsors, the Schoeller-Bleckmann Oilfield Equipment AG, the DPE, our SPE student chapter, the SPE Vienna Basin Section, and the city council of Leoben. Without their financial support, this project would not have been possible.